Home » Our Doctors » Steven Weeden, O.D. 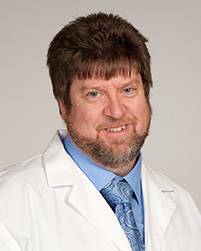 Dr. Weeden studied optometry at Northeastern State University in Tahlequah, Oklahoma. After receiving his degree, he briefly served as an optometrist in the United States Air Force before meeting and marrying a Texas girl. Dr. Weeden has been practicing optometry for twenty-seven years, and has Ocular Therapeutics and Optometric Glaucoma Specialist certifications. Dr. Weeden’s free time is hoarded by his wife and children! He loves all kinds of sports and is an active member of his church.